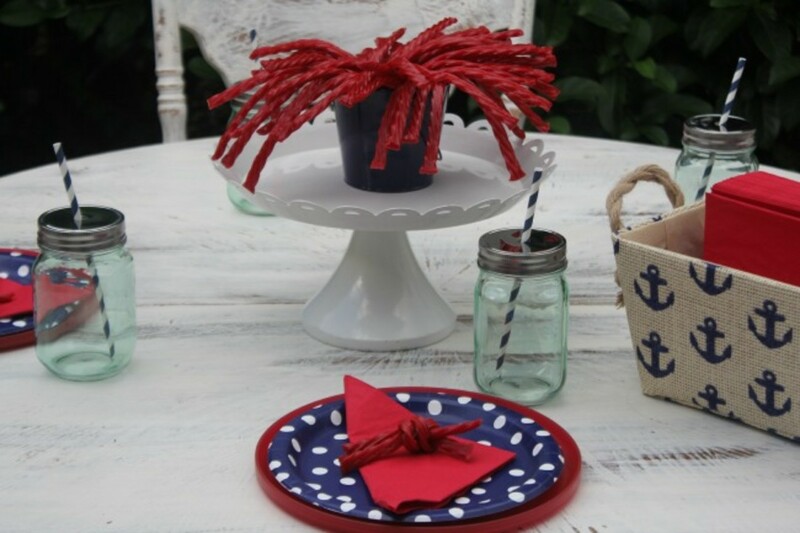 I decided to use Twizzlersto create an easy nautical themed tablescape. I started with a red, white and blue color palette and worked from there. 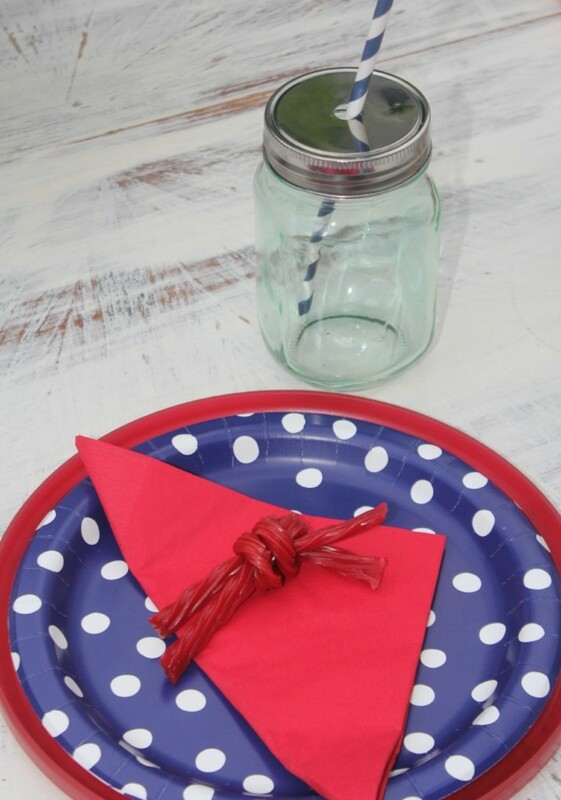 Navy blue and white polka dot paper plates went perfectly atop red plastic chargers. 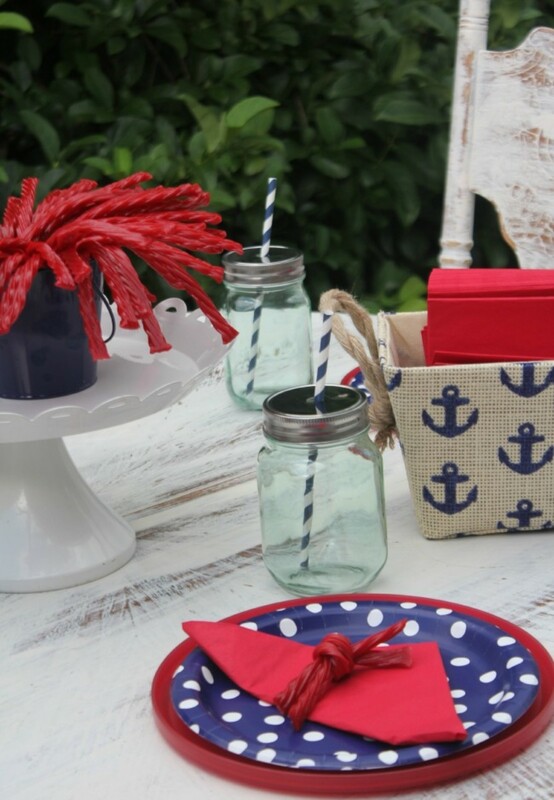 I also added mason jars, striped straws and an anchor adorned burlap basket as a napkin holder. You&apos;re feelin&apos; the nautical vibe already right? Well, I haven&apos;t even gotten to the cutest part yet! 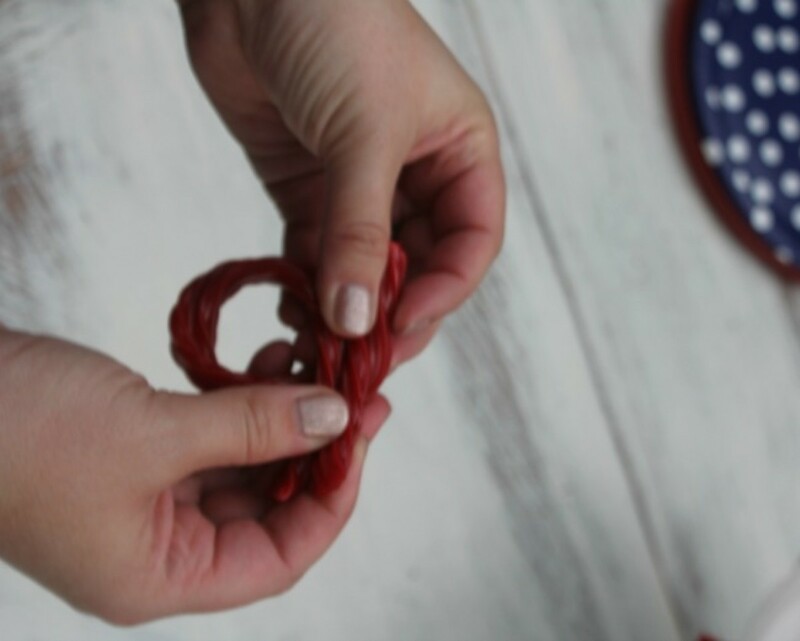 I made easy DIY candy nautical knots by taking two Twizzlers Twists and looping them together to form a knot. It&apos;s as easy as that. They&apos;re just darling and really kick things up a notch in the nautical department. 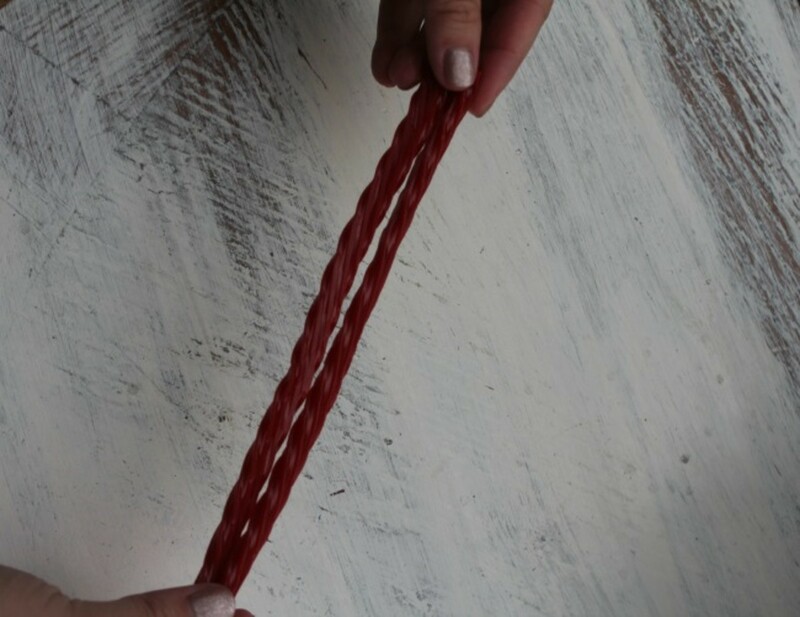 The Twizzlers fun doesn&apos;t end there however. 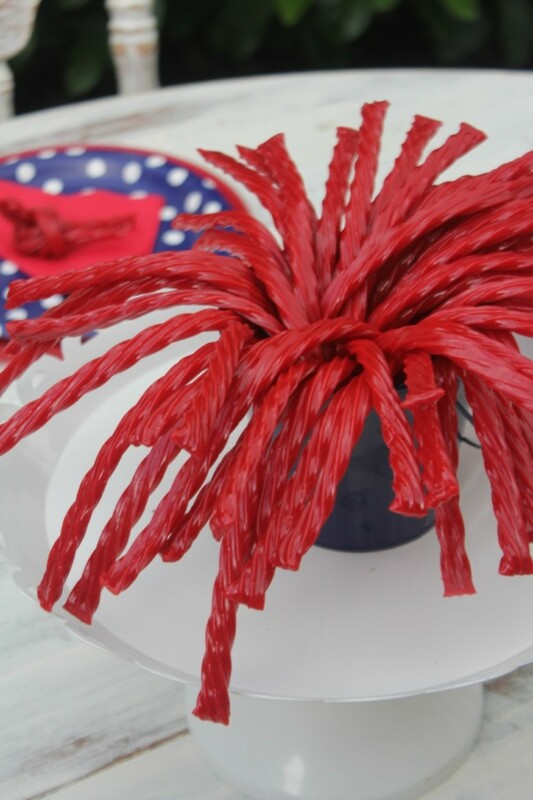 I also made a fireworks reminiscent centerpiece by putting a metal bucket filled with Twizzlers Twists on top of a cake stand and fanning them out to create what looks like a burst of fireworks. For more information, including crafts and recipes, visit CelebrateWithHersheys.com. Disclaimer: Compensation was provided by The Hershey Company. The opinions expressed herein are those of the author and are not indicative of the opinions of The Hershey Company.